TheBlueGuerilla: Crawley Tories Depose Leader in 'Bitter' Battle After Losing Council to Labour. Crawley Tories Depose Leader in 'Bitter' Battle After Losing Council to Labour. CRAWLEY Conservatives have reportedly ousted yet another Leader in a "bitter" contest that has again rocked the local branch to its foundations, TBG can reveal. Local rag Crawey News called the vote to lead the Tory Group a "bitter leadership challenge", after the Conservatives lost control of the borough council to the Labour Party. The council now has 20 Labour councillors and 16 Conservatives. And just 1 UKIP councillor after the Party made zero gains in the borough. Councillor Howard Bloom, who dumped his ward for a safer seat in the elections, has reportedly been replaced by Duncan Crow as head of the Tory Group. Last year former Conservative Group Leader Bob Lanzer was forced out following allegations of sexual harassment by the deputy Tory Branch Chairman, who later defected to UKIP after a landslide vote of no confidence against him and former Tory Chairman, turned Crawley UKIP Branch Chairman, Lee Gilroy. TBG understands that the deposed Howard Bloom was later spotted in local bustling restaurant the Giggling Squid, ordering the Moo Ping for starters followed by the Much Cha Rung Ra with a bottle of Campo Azafran Tempranillo. Is that all he does is eat. I heard he couldn't stand as leader as there was no winch to get him off his Lars arse behind. Bet giggling squid were rubbing their hands when they saw fatty harbuckle coming up the road. Useless leader but an amazing achievement never the less for someone with downs. A man well respected from both sides. It is a shame that the post above me is insecure about themselves. The best thing about the whole of Crawley, UKIP did not get in. 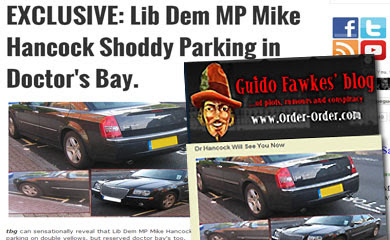 Cllr Cowdary on the take again... lost his SRA so now he makes a move to claim the leaders allowance... get a job. UKIP Cry Foul in Tower Hamlets. Mr Danczuk Should Eat Some Humble Pie. More UKIP Gains in Hampshire. Mixed Night For Portsmouth Conservatives. Farage Causes Civil Unrest in Croydon. Boris And His Return to Westminster. We Now Have A Surging Economy. UKIP's 'The Finch' Strikes Again. Hancock Opponents Call For Him to Quit Race. PM Cameron Threatens to Quit Over EU Referendum. EXCLUSIVE: Hancock MP in Priory Clinic. 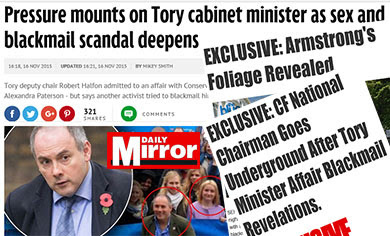 Abuse Case MP Hancock Says It's All a Tory Plot. Labour Candidate Calls Gary Barlow A Tory C*nt. Would the Real Roger Helmer Please Stand Up. 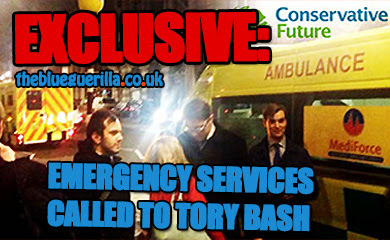 [VIDEO] Tory #RoadTrip2015 Gets Bigger & Bigger. 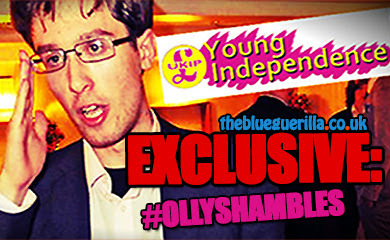 UKIP Break Silence Over 'Tory Plant' Brooking. Tory MEP Blasts 'Corrupt' European Commission. Hancock Son Assault Case Adjourned.